A Gadsden, Alabama couple was playing cards early Saturday morning (March 15th) when the woman heard a noise. When she went to investigate the noise, she saw a shadow move and then a person. She described the intruder as a black man, roughly six feet tall and approximately 170 pounds. The intruder was wearing a black or dark blue hoodie with a blue bandana over his face. Realizing he was seen, the criminal drew a pistol and shot, hitting the woman in the leg and grazing the man's chest. The man drew his own gun and fired a shot back at the intruder, causing him to flee. The couple was taken to the hospital for treatment of the gunshot wounds. 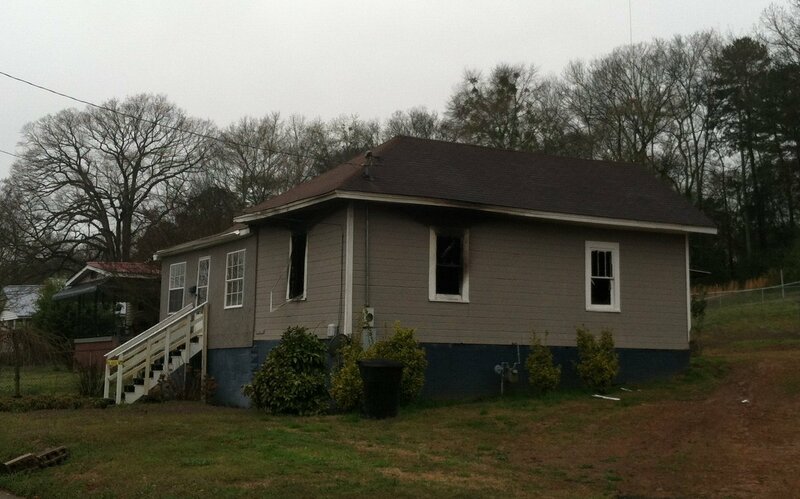 Around 4:30 a.m. local authorities received reports of a fire at the same residence. Police and fire officials believe arson is the cause.